Valet testimonials - Diamondbrite, Dent Removal, Scuffed Wheels. Sorry for the long delay in letting you know the results of the valuations on the Mondeo but I have been away with work. After looking at all the quotes for the car I have averaged them out for you and it would appear that the value has risen by about £650. Slightly more than the initial outlay but most of that cost was for the wheels so in all it was money well spent. The wheels are still looking good and the Innox is making the wheels very easy to clean. I have just given the car its first load of conserver and the shine is still there. I wanted to know if there is anything I can use to polish up the bumpers at all because that seems to be the place that is getting the worst of the road grime. I had heard the Jewelultra PGS can be applied over Diamondbrite or alternatively you can just use neat conserver. What would you recommend?" Yes, we would certainly recommend using the Diamondbrite Conserver, liberal amounts used neat will help make the front easier to clean... and Protective Glaze Sealant (PGS) is a very good product too and will ad extra protection. "Very friendly and helpful service. 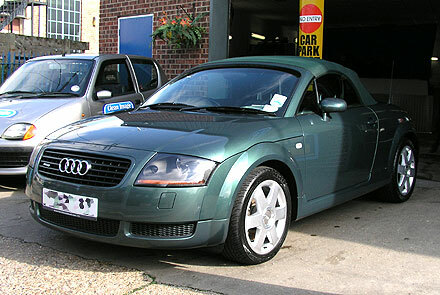 Advice given was always good and the car looks excellent!" "I was very pleased with the service I received, my seats look fantastic! I have recommended your company to several people. Special thanks to Gary for his help and advice." "Thanks for cleaning my car again and putting things right!" "As a new (lady!) owner of a 9 year old MX5, I was given valuable guidance - not only on valeting, but on tyre, alloys etc. And also on painting. 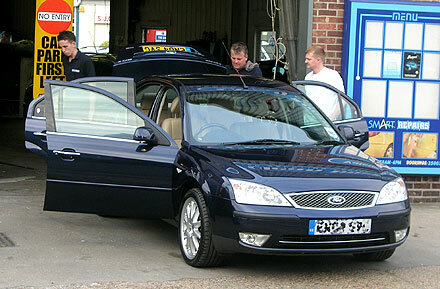 The car looked super following the final touch - the gold valet"
Just 39 minutes from Dagenham! "Your dent removal was amazing - can't even remember exactly where the dent was now!! Your staff are friendly and approachable, but at all times professional courteous and efficient. Would definitely recommend you without hesitation." "The car was in a scruffy condition with badly scuffed wheels, dents to body panels, scuffs to paintwork and soiled hood. Very pleased with the transformation and my 6 year old car looks 'showroom fresh'. This improved it's resale value by over 1000. My only criticism is that although the interior and boot were in pristine condition, I don't believe the bonnet was opened and cleaned underneath*, otherwise completely satisfied. " *On a silver Valet, we don't do under the bonnet. There are three reasons for this. Firstly - nobody ever looks under the bonnet of cars! The only person to see a clean engine bay would be your mechanic, it's doubtful he would much care. Secondly - Cleaning engines bays has become a tricky business these days. There is a lot less space around the engine on modern cars for us to work, and they have become packed full of computers and electronic gizmos, meaning that we can't use pressure washers as we did in the old days, and have to clean them by hand which is a time consuming process. Thirdly, most of the 'dirt' in the engine bay is oily and really doesn't do the engine any harm, in fact it can protect it. So why pay us for our time for something you don't need and nobody is ever going to see? The only time we might suggest cleaning the engine bay is when you are selling your car and we do have it as an option, otherwise we leave the area alone. Having said that, I understand that you had paintwork correction, so it's very possible that compound and polish would have splashed down into the shuts. And if this is the case, then it would have been visible with bonnet closed so Mark should have opened the bonnet to remove it. If he didn't then you have our apologies and I will review our procedure and ensure that checking the shuts and washing down them down (With AutoSmart Tango) takes place on all cars in future. It will be added to our check sheets. "Very professional - outstanding as always." I would definitely recommend using Clean Image to anyone and I will be using the again. * I'm afraid there are no magic answers to stone chips, I'm afraid all we can do is touch them in. It is true that they can be treated in detail, but often the results are not very good and it's is incredebly time consuming so not cost effective. I'm sorry if this wasn't made clear to you before work began. There is a full article about stone chips here. "Great friendly service. Good advice offered "